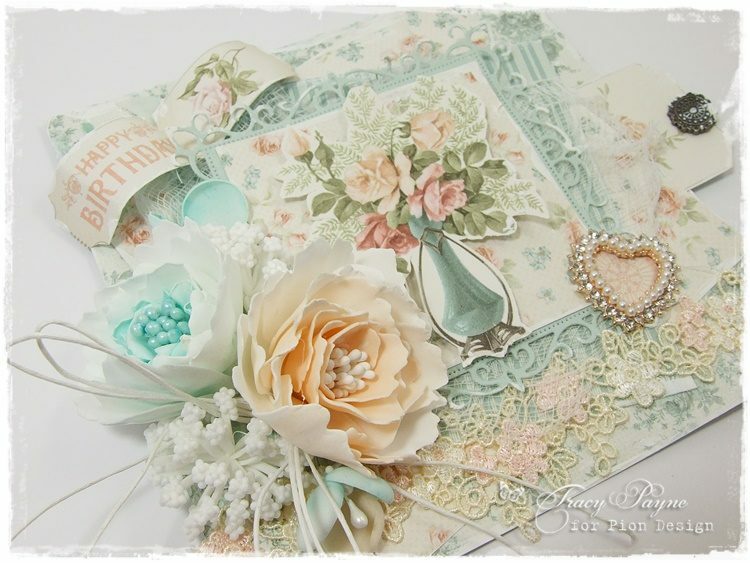 I hope you are all enjoying the the Life is Peachy collection of papers. I think they are so versatile with peaches, pinks, aqua’s and of course you an mix and match with other collections too. 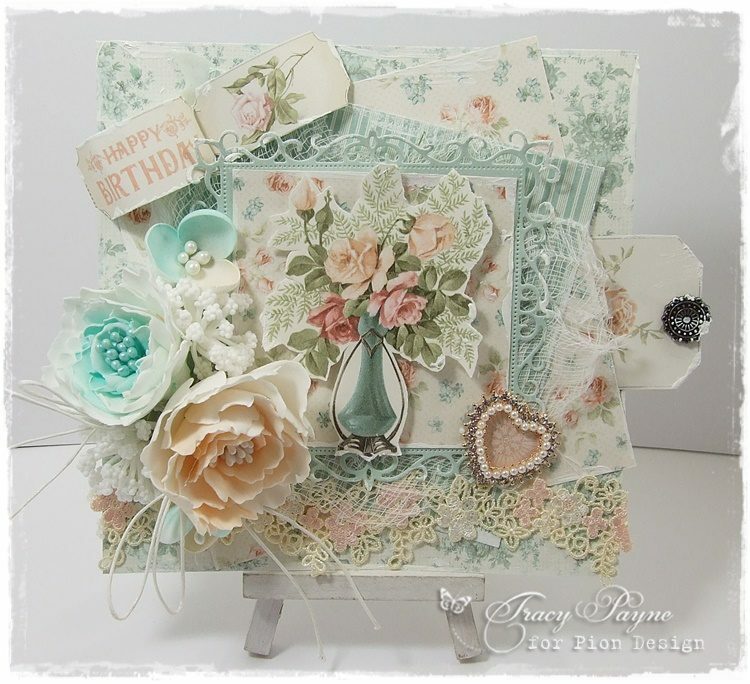 For today’s card I chose the peach and aqua colours and the image is cut from the Images from the Past sheet. I used the Pion Palette to compliment the papers. All details at the end of the post. iam in love with jour cards and al your creations TOP!!!!! !